“So when are these terrorists goto jail? Exactly. You could say the same about the far right goon squads that accompany Fraser Anning around too. Sorry I forgot. 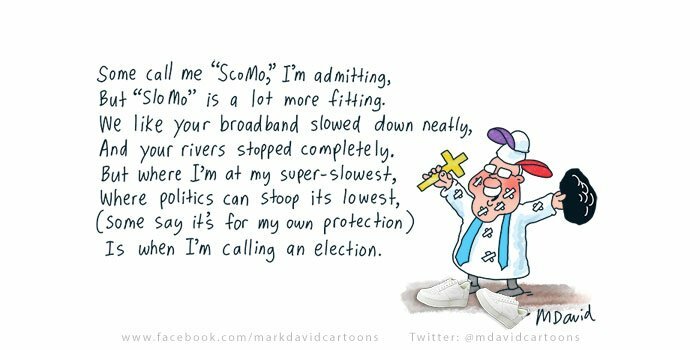 ScumMo wants their votes. 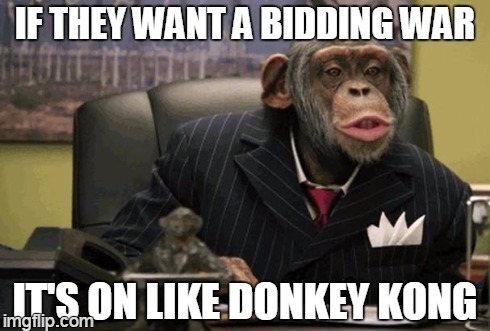 May be also prudent to humbly suggest that PB should also have its own campaign contribution call to support your superlative efforts now and in coming weeks. Monies in a brown bag heading your way. Is Peter Cosgrove going to meet Scrott at the door in his dressing gown and fluffy slippers? I think slomo will call it for may 25 because I have something planned for that weekend! Is it like the slow speed media chase of OJ? Only with a far less charismatic protagonist. It is about as secret as the AFP raid of the CFMEU. Is Michaela Cash present? This is what ScumMo does well. Media stunts to get attention. Too bad their is no governing to go with it. Suggest away, SGH. The uploading of the election guide is still a work in progress, so you might want to give it a few more minutes. Now if Turnbull was PM still he’d be waiting at the bus stop. I think the TC network includes one or two routes that pass nearby. Pity the new Canberra Tran doesn’t service that part of town … yet. David Crowe says the election will be called today – just after yet another round of job appointments for mates. John Hewson tells us how stupid Frydenberg and the government look. Michelle Grattan summarises yesterday’s Chris Bowen’s NPC appearance. Shane Wright says that a Labor government would attempt to force its tax agenda, including a plan to hit high-income earners with a new deficit repair levy, through Parliament before a potentially hostile new Senate is installed in July. Katharine Murphy says that Labor’s path to victory is open but she wonders whether or not voters have made peace with Bill Shorten. Niki Savva writes that for the first time since late last winter the mixture of sheer dread and wishful thinking that gripped the Coalition has been replaced by genuine hope that the election is winnable. John Warhurst has his say on the conduct of the election campaigns. Michael Koziol reports that Abbott has suggested his successor Malcolm Turnbull is among those “trying to create something out of nothing” regarding allegations of undue foreign influence levelled at Home Affairs Minister Peter Dutton. The Australian’s David Uren explains how the PBO has transformed the electoral landscape in Australia across the course of the two elections since its creation in 2012. 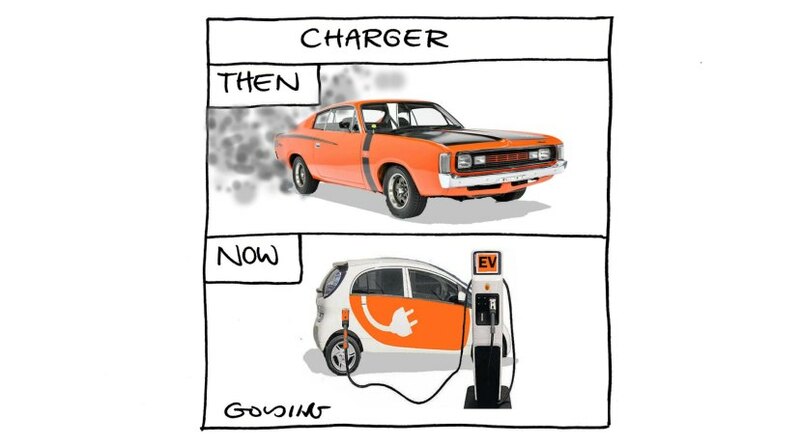 The SMH editorial says that the Coalition’s scare campaign against electric vehicles is hypocritical and Luddite but the bright side is it might, at long last, start a meaningful debate about the role the transport sector can play in cutting carbon emissions. Andrew Dillon, chief executive Officer of Energy Networks Australia, explains what needs to be done to make the most from electric vehicles. And electric vehicle-driving, coal power baron Trevor St Baker is throwing millions of dollars into EV charging infrastructure, saying the private sector had to step in to push the industry forward. 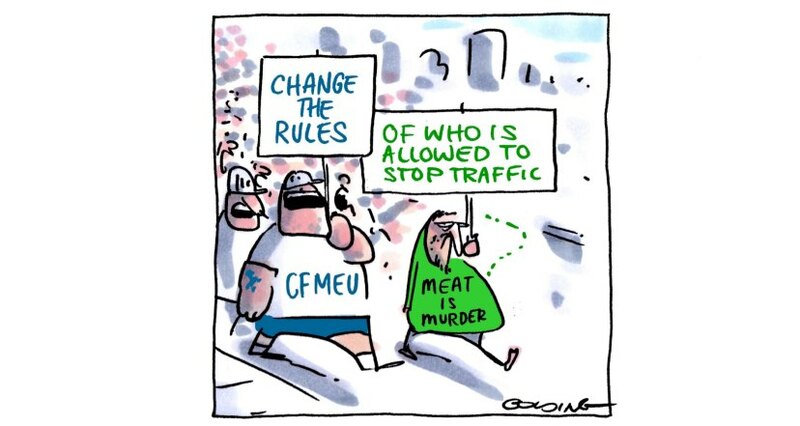 David Crowe reports that motorists would save $27.5 billion in petrol and diesel costs over two decades in a collective gain from Labor’s proposed fuel standards that the Morrison government has dubbed a “car-bon tax” on cars. Professor Julian Thomas tells us what Labor should focus upon in its announced NBN digital inclusion drive. It doesn’t come as a surprise that Labor’s plan for the NBN starts with a full-blown technical and financial review of the NBN, as announced by the Shadow Minister for Communication, Michelle Rowland. Paul Budde, one of the world’s foremost telecommunications management and business consultants, reports. 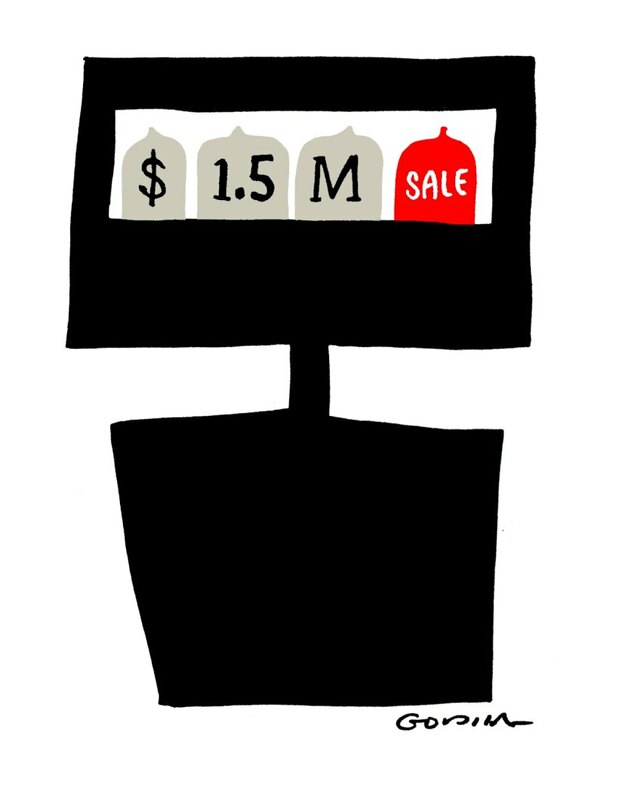 Jennifer Hewett looks at the role property will play in the election. 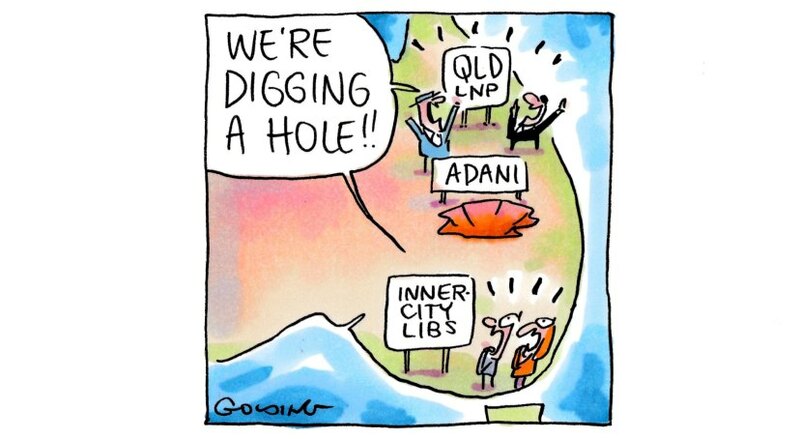 Peter Hannam writes that Adani’s by no means got the project in the bag just yet. New emails have emerged that contradict a statement given by Liberal Party fundraising chief Andrew Burnes to the Australian Stock Exchange about a controversial meeting between his company, Helloworld, and his friend and major shareholder, the Australian ambassador to the United States, Joe Hockey. Jock Collins says immigration policy will be a major issue in the 2019 federal election. We know this because immigration has featured significantly at every Australian election since the 2001 “children overboard” election. Emma Koehn reports that a Senate committee has found small businesses still need greater access to legal assistance to fight disputes with the banks and introducing a levy on financial institutions to provide assistance is a good idea. 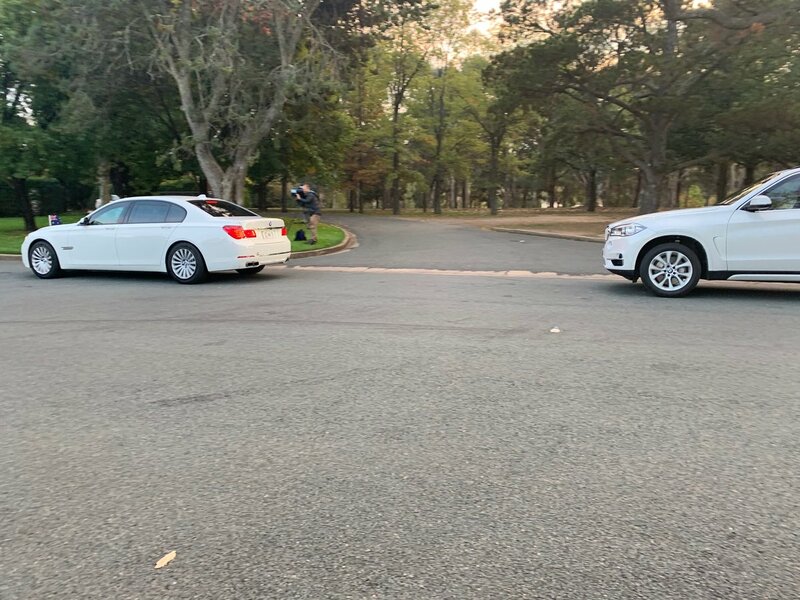 Doug Dingwall reports that Treasury secretary Phil Gaetjens has failed to turn up to budget estimates as more junior officials were sent to field questions from senators on Wednesday. Some Senators were most unimpressed. In a worldwide collaboration scientists have for the first time got an image of a black hole – and it confirms Einstein’s prediction. The Disability Royal Commission announcement was an afterthought designed to offset the negative reception for the Morrison Government’s cuts to the NDIS ahead of the election, writes James Fitzgerald. The Coalition’s record on social policy has been big on promises, short on follow-through write these two academics. Here’s why well-intentioned vegan protesters are getting it wrong. After an overwhelming vote in parliament the banning of a range of rifles will become law in New Zealand less than a month after the massacre that prompted the swift change. Banks face a fresh showdown with shareholders over executive pay and risk copping second “strikes,” senior bankers warn, after the regulator urged boards to put less weight on financial targets when paying bonuses. Greg Hunt does the right thing and slams mental giant Anthony Mundine over his antivax comments. Lou Dargan examines this week’s High Court decision that went to defining what constitutes political protest. In a related matter terminally ill patients could be protected by new safe access zones at hospitals to prevent harassment from activists protesting against voluntary euthanasia. 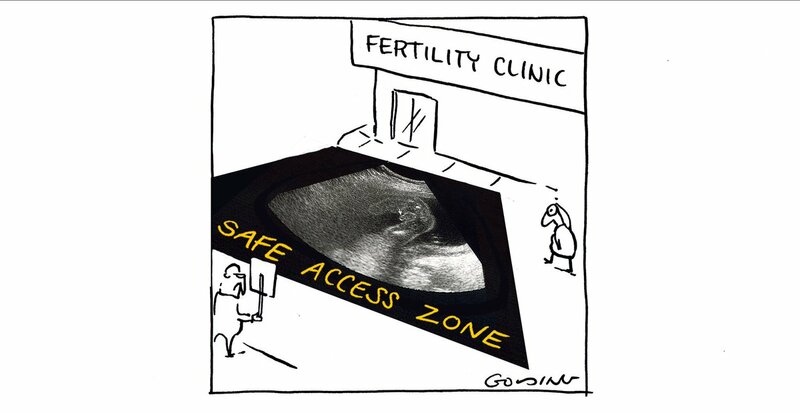 The Andrews government says it will “carefully consider” whether protest buffer zones – such as those in place at abortion clinics – were needed to protect patients. Michaela Whitbourn explains how a report from the Australian Law Reform Commission recommended that the government should establish family courts “in all states and territories” and abolish federal family courts. Radio broadcaster Tim Brunero lifts the lid on the bullying culture at 2GB. Jane Gilmore warns us about the dangers of couple counselling for domestic violence. This was given a boost in the recent budge. She says one of the government’s strategies to end men’s violence against women is going against expert advice to fund a dangerous practice implemented by organisations that admit they do not have the skills to keep women safe from violence. According to Suzanne Neilsen prescription monitoring is here, but we need to tread carefully to avoid unintended harms. Are the Tory Brexiteers starting to crack? Jess Irvine reflects on her 12 months without Twitter and is pleased she made the decision to get out of it. How Ireland’s attempts to secularise its schools have turned to farce. Bloomberg declares that we’re not even close to the next great recession. But Mike Bruce writes that the IMF has warned that the world economy is looking grim in 2019, but Australia’s is looking even grimmer. More from Bloomberg as it says Trump’s trade wars aren’t over yet. Joseph Stiglitz opines that Trump will leave a legacy of selfishness and dishonesty. 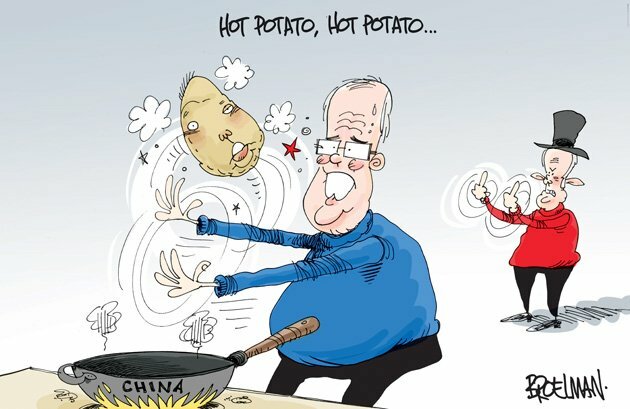 A ripper from David Pope! 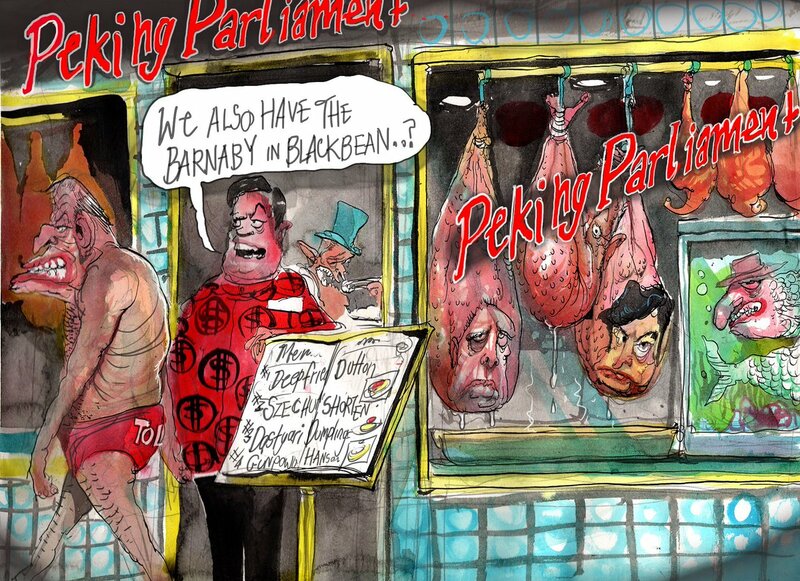 David Rowe launches a new Chinese Restaurant. 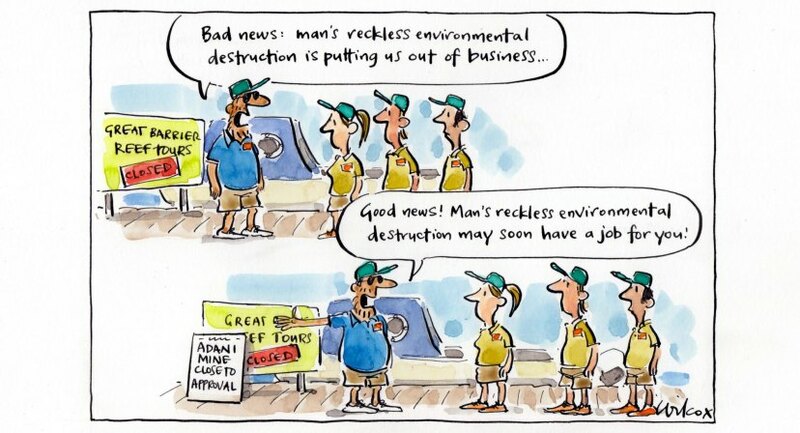 Cathy Wilcox and the fickleness of politics. 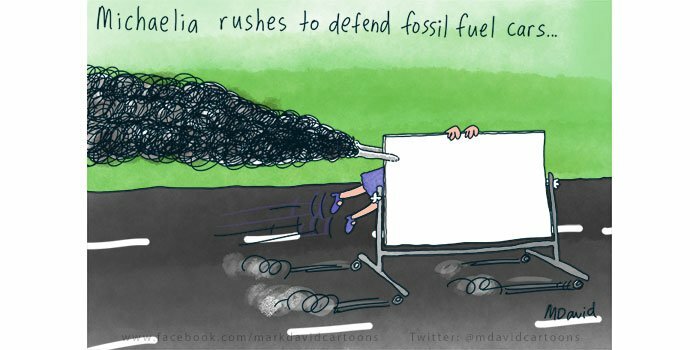 Andrew Dyson on the same subject. Alan Moir kits out Morrison for the election. 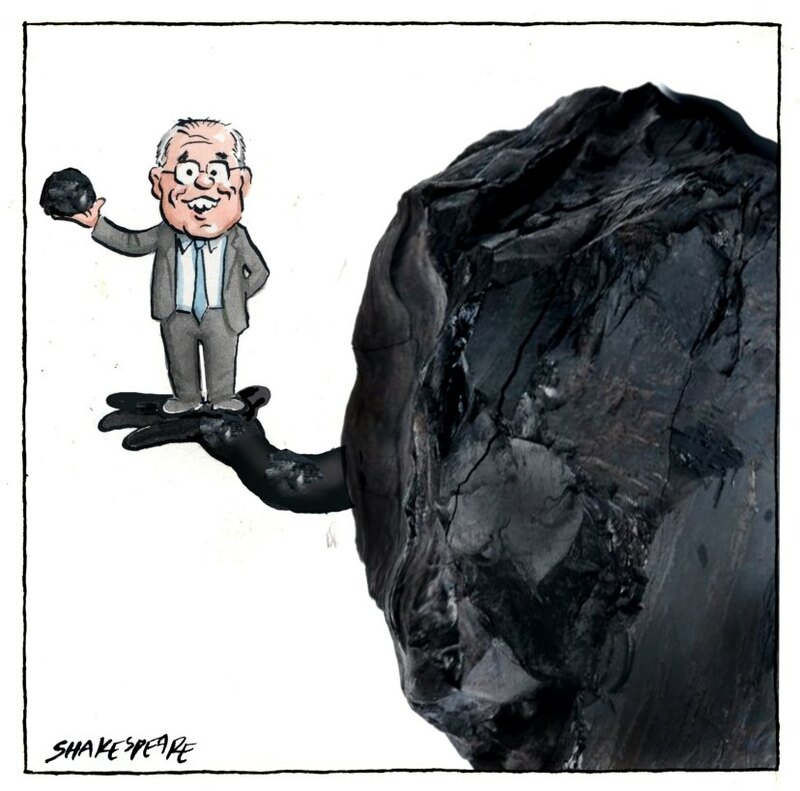 John Shakespeare with Morrison’s coal connection. 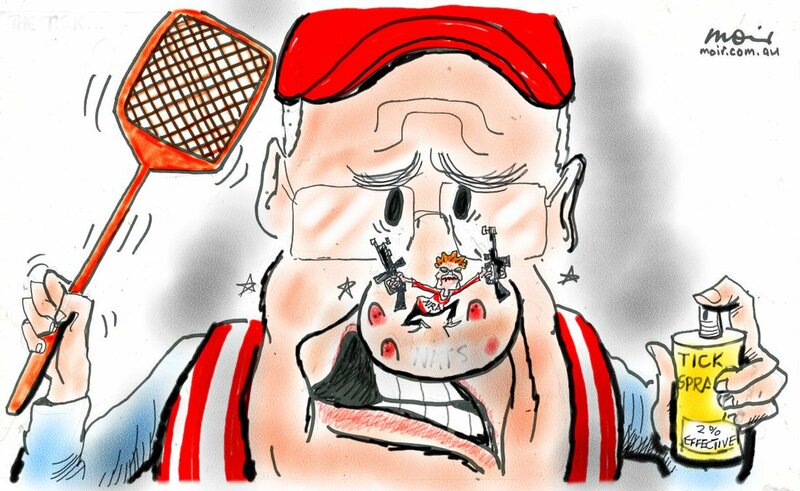 A classic from Peter Broelman! 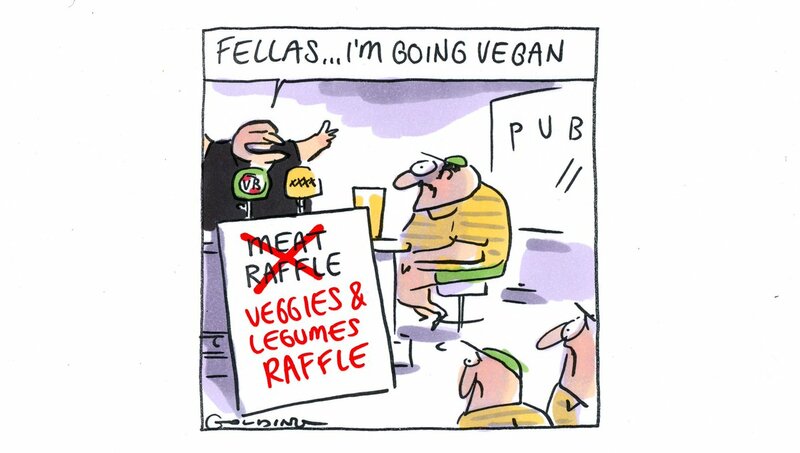 Jon Kudelka releases the new Vegan Ute. Sgh1969, yes I can’t wait for the tram to run out past the lodge. In the excitement of a new election, we must not forget the effects of global warming. A group of 23 former emergency services chiefs has urged the federal government to act on climate change, warning that natural disasters would continue to worsen unless drastic action was taken. In an open letter published on Wednesday, the signatories called on the next prime minister to meet with them so they could “outline, unconstrained by their former employers, how climate change risks are rapidly escalating”. Speaking to the ABC’s Radio National Breakfast program, former NSW fire and rescue commissioner Greg Mullins said “we’re scared, and we don’t scare easily”. “It’s just frustrating to hear the lip service being given to ‘Oh yes, we now believe in climate change and need to do something’ when every effort to do something about it is rubbished,” Mullins said. Let’s do this, people. I’ll see those of yo who can make it at the volunteer rally/ launch in burwood with Bill and Tanya on Sunday. Let’s get up and about, and return Labor to government. sky news say that coalition are back in the game to win the 18 May election and they say that the coalition will win that election. be careful Wayne. 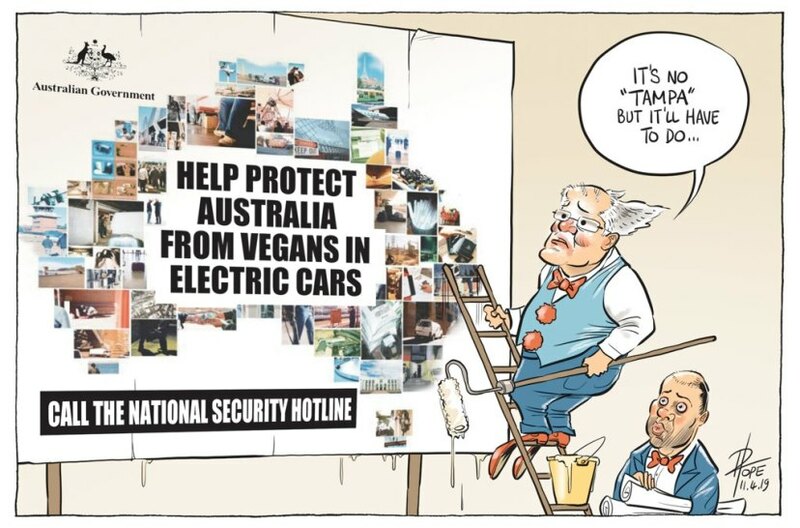 That’s a Chris (Dogbotherer) Kenny you’ve got plugged into your input socket – and it’s connected to a Lachlan generator. The smell is your circuits frying. Thanks BK. A bumper crop of dodgy actions to report. With the budget done there is no excuse for this. Just as ScumMo gave up in parliament once Phelps won her seat, Gaetjens also seems to have given up as Treasury Sec. He knows he is gone as soon as Labor win. He is too politicised and his appointment was not appropriate, regardless of his intellect. Troy Branson from the Australian is touting the LNP picking up seats in Tasmania. After saying expect Labor to win in an uphill battle for the LNP. Personally I think the LNP would be more likely to win seats in NSW. Poor Tassie is going to get saturated with Morrison visits. Thanks Tasmania for taking one for the team. 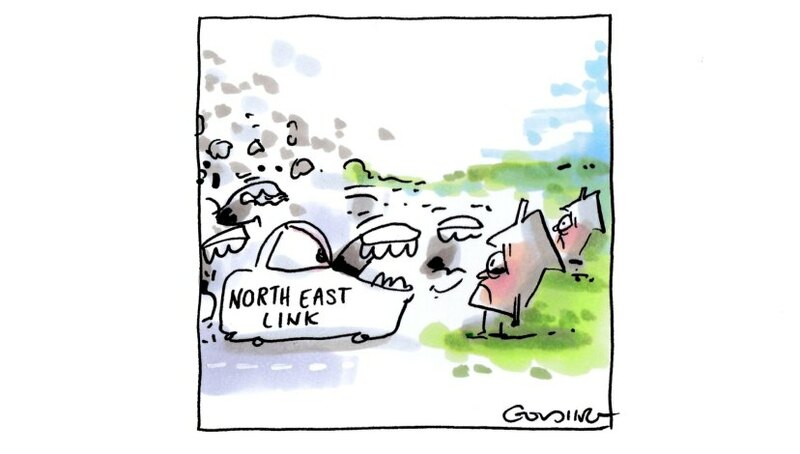 It is amusing but very predictable to see one of the top stories in Melbourne’s Herald-Sun is all the terrible things that will happen because of the construction of the North-East Link. This from the same paper that backed the East-West Link heavily – I suppose people living in old terrace houses in Collingwood don’t matter as much. Thanks BK for the roundup. Antony Green notes that by calling the election today the writs would be issued Saturday. Does this mean that Senate Estimates still sits today? Does caretaker provisions kick in immediately? Troy Branson from the Australian is touting the LNP picking up seats in Tasmania. Caretaker kicks in once the GG issues the writs. Which will likely be tomorrow close of business. This is why those 52-48 polls were a blessing in disguise. 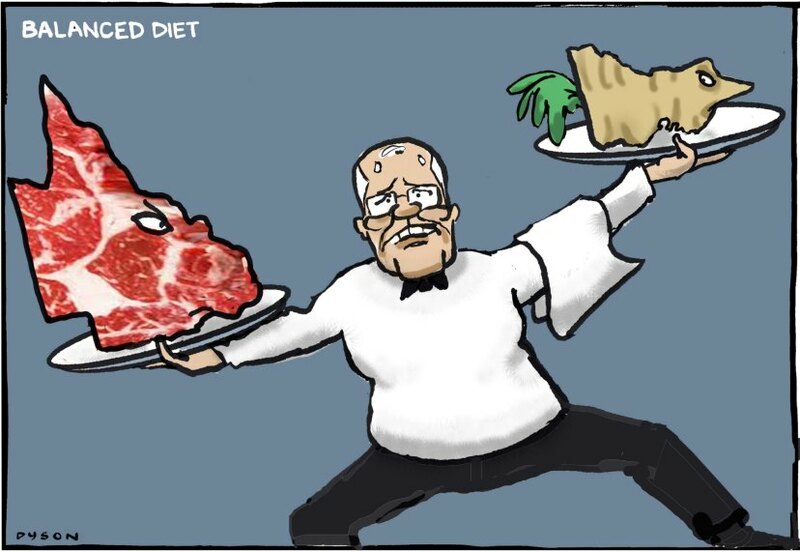 They are the last ones pre-campaign and I imagine there won’t be any movement towards the Coalition in any of the forthcoming polls – and a 53-47 while Morrison is in full shouty campaign mode would be priceless. Also waiting for April 25th – who will be the first Coalition figure to politicize that day and wrap it into the election campaign, and how many will follow suit? All the while deriding the politicization of the day of course! They don’t have the numbers, or even the numbers for majority, I know Labor has just not sure how many. Call me a cynic, but would ScumMo go for this with a May 18 election date to minimise the time for youth to register to vote? If yes, then I think he will go 18 May. If no, I expect he will go for 25 May. The desperation of a Murdoch hack to pretend its going to be competitive. I understand it. I had some wishful thinking when Abbott won. 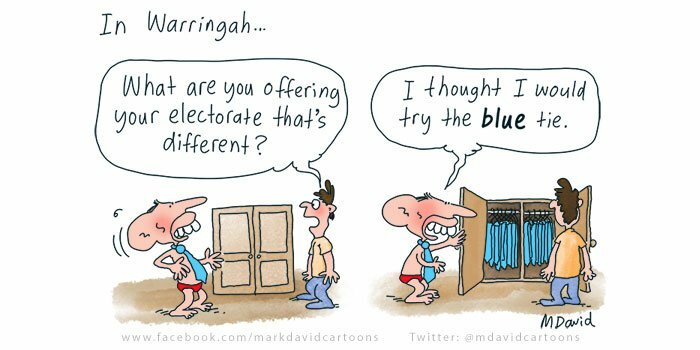 The reason why I predict the election won’t see Labor pick up more than say 11-14 seats, despite this current government being one of the worst in Australian history. Is because of Labor’s proposals for negative gearing and franking dividends reform. Since this hits those who are often the most angry against the Liberal party. So I predict centrist to centre-right Independents such as Zali Steggall and Karen Phelps to do well. One of the reasons you call an election on a Sunday is to avoid all those questions you raise. In short, the Senate Commitees can do whatever they like. Also just heard on ABC24 that the Courier-Mailis saying that the Coaliton are being encouraged by good ‘internal polling’. Could this be from the same people who told Turnbull he was on track for victory – about one week before he was toppled by Morrison? To be fair, if they do internal polling within the Liberal Party members I would expect Morrison would be at least a slight favourite to win. You can predict that every Liberal candidate will be told to turn up at Anzac Day services and photobomb every scene to camera. They would wear uniform if they could, except that virtually none of them have actually served. Wars are things right wingers like to order other people to fight. I sometimes think the ancient Spartan constitution had a few good rules. One was that if a king launched a war, he had to fight it, and lead his men into battle, often in the front rank. It is always hard for Labor to win Government from Opposition – in the 90 years since Scullin did it in 1929, it has only been achieved three times : 1972, 1983 and 2007. They’ve been doing it since Howard arrived. I’m waiting for Scrott to take it to the next level of FMD! and work some politics into Easter. This is a good reminder for all those that enrolled to vote in the Marriage Equality survey. Talk about firing up the voters. Certainly know your stuff Wiiliam. Very accruate summary of my seat of Corangamite in your election guide. Wont find anything like that elsewhere. PB well worth my small monthly contribution. What a sense of relief – finally a real chance to get rid of a bunch of total f@**wits. I would have preferred a flattening out of the Bludgertrack chart though. Oh well, can’t have everything. Finally a hopeful end to this chaos and dysfunction! @ScottMorrisonMP will NOW call an election. For the Bludger’s keener psephs some LOLs supplied by Mr Nenson.